As a successful business, we are aware of the responsibility and wellbeing of the people who work with us, in the environment and in the local communities within which we work. We make every effort to ensure that we make a positive contribution in these areas and we will continue to invest in our corporate and social responsibilities. Corporate Social Responsibility (CSR) for the AFI group of companies is about aligning our activities with the expectations of our stakeholders in relation to our economic, social and environmental impacts. Our stakeholders include our employees, customers, suppliers, investors, local communities and society as a whole. 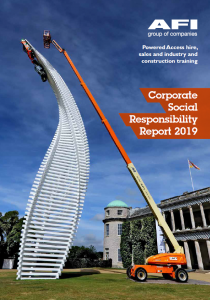 This document outlines how we are fulfilling our CSR obligations and our plans to ensure that we continue to be a responsible corporate citizen in the future. As a successful business, we are very aware that we play a significant role in the wellbeing of the people who work with us, in the environment and in the local communities within which we work. We make every effort to ensure that we make a positive contribution in these areas and we will continue to invest in our corporate and social responsibilities. We are embedding into the business a culture of being ‘Friendly, Helpful and Professional’. We aim to make ourselves the Number One choice for our customers and this means offering considerably more than our competitors and putting the customer at the heart of everything we do. This is fundamental to AFI and how we operate. All good teams share a common desire and belief, and take ownership of their roles. Our success to date has been built on teamwork and our success in the future will be built on teamwork. Our people are our greatest asset and we will continue to make substantial investments in developing our team. Acting safely and responsibly is an integral element of the AFI philosophy and we will continually seek to improve and revise our processes in order to deliver a safe working environment. We are continually seeking to eliminate waste and inefficiencies within the business, in order to lower our carbon footprint and reduce our environmental impact. None of the above can be achieved unless we are a profitable business. Profits provide security and the means for us to invest in creating opportunities for all of our stakeholders, especially our team. To integrate sustainability considerations into all of our business decisions. To make customers and suppliers aware of our Sustainability Policy, and encourage them to adopt sound sustainable management policies. To calculate our carbon footprint and strive to continually reduce our carbon emissions. To review, annually report, and continually strive to improve our sustainability performance. Minimise environmental impacts in the areas of waste, water, energy and air quality. Ensure our supply chain has responsible social and environmental practices. Create innovative approaches to minimise negative environmental impacts, improve economic bottom lines and integrate the social elements into our operations. Continue to reduce our carbon emissions. Concern for the environment and promoting a broader sustainability agenda are integral to our activities and the management of the business. We aim to follow and promote good sustainability practice, reduce the environmental impacts of all of our activities and help our customers and suppliers to do the same. The reduction of our carbon emissions is the single most effective measure AFI can take to reduce our environmental impact. We will achieve this by reducing our consumption of all forms of energy. We manage waste generated from our business operations according to the principles of reduction, re-use and recycling. All new delivery vehicles purchased by AFI are fitted with the most up-to-date equipment to reduce fuel consumption and carbon emissions. This includes loading ramps that can be laid flat to reduce drag, fuel efficient engines, and telemetry monitoring systems that record how much fuel is used and how the driver is performing. These systems enable us to confirm that our employees are driving safely and within national speed limits. To further ensure that this is the case, we carry out extensive driver training and have also implemented a driver incentive scheme designed to reward safe and efficient driving. All new company cars purchased have CO2 emissions less than 160g/km and all service fleet vehicles have emissions under 200g/km. A large proportion of our hire fleet is battery powered and energy efficiency is a key consideration when we invest in new machines. For example, we have a number of Niftylift HR21 hybrid models which are very energy efficient and environmentally conscious. We believe we were the UK’s first dedicated powered access hire company to gain Fleet Operator Recognition Scheme (FORS) Gold accreditation for our good working practices in the way we operate our machine delivery and service van fleets. Where possible, instead of travelling to meetings, we use teleconferencing, video conferencing or web cams, and where a meeting does need to take place we time them efficiently to avoid multiple trips. We minimise our use of paper and other office consumables and identify opportunities to reduce waste (over 90% of our hazardous waste is re-cycled). The need for effective environmental management is an important aspect of our supplier approval process, ensuring that any company we work with takes account of sustainability issues. We conduct regular business audits, ensuring that our best operating practices and procedures are adhered to, and we continually develop and improve our ISO14001 environmental management system in order to ensure that we maintain certification across the business. We have an established HSEQ team of 6 individuals to ensure that we place maximum focus on all aspects of health, safety, environmental and quality issues. Acting in a safe and responsible manner is at the heart of AFI’s ethos – all of our policies and incentive schemes are designed with this in mind, and HSEQ is embedded within the culture of our business. In August 2017 we appointed Nigel Stevens, previously HSEQ Manager, as HSEQ Director. Health, Safety, Environment & Quality is a cornerstone of our business and it is one of the key elements of our success so it’s fitting that this very important field is represented at Board level. AFI are committed to improving health and safety standards in the industry through sharing best practice and learning. Brian Parker, Technical Business Development Manager, heads up our health and safety webinars and produces our HSEQ Bulletins. We make considerable investments in training in order to ensure that our employees work safely and can develop their careers. We are averaging over four training days per employee each year, and have also introduced a series of e-learning modules so that employees can learn at a time, a place and a pace that suits their needs. We have developed a comprehensive induction programme to prepare our new members of staff for working in the industry, and also provide our staff with regular refresher training. Health and Safety is a key part of our induction programme; we have added the IOSH Managing Safely programme into our induction as a mandatory requisite for all senior managers. We continue to deliver health and safety behavioural training to all members of staff in order to influence attitudes and understanding of the consequences of bad practice. This has played a major role in significantly reducing our Accident Frequency Rate (AFR). We also support employee development through our “Training Plus” scheme. This is not job related training, the focus is personal development. Winter driving courses, advanced driving lessons and Arabic classes are three examples of courses we have approved for employees as part of this scheme. We invest a great deal of time in the development of our apprentices as we believe in growing our talent organically. Our apprentice intake has grown year on year, averaging 20 new apprentices per year, 96% of whom successfully complete and enter full time employment with us. Our administrations and hire apprentices are enrolled onto administration apprenticeships and our engineer apprentices attend the CITB construction college to complete a three year Plant Mechanics Advanced Modern Apprenticeship. The success of our apprenticeship programme has been highlighted by one of our apprentices, Maddie Wallace, winning a hire industry Apprentice of the Year award and also a Hire Achiever of the Year award in 2015. Plus, in 2016 another of our apprentices, Robyn Turner, was shortlisted in the HAE awards for Apprentice of the year, and in 2017 Robert Aston was a finalist in the Apprentice Hire Desk Controller of the year award in 2017. Billy-Jo Davis, who begun as an apprentice with AFI and is now a Senior Hire Desk Controller, who won HAE’s Hire Manager of the Year award in 2017. Picture: Robyn Turner (Left), finalist for the Apprentice of the Year award, Hire Association of Europe (HAE) Excellence 2016. We are extremely proud to be recognised for our commitment to the development of our people through our achievement of the Investors in People Gold Award. This award puts AFI among the top 3.6% of recognised Investor in People companies in the UK. To ensure the wellbeing of our employees, we provide them with a free health scheme that covers them and their families for a range of health associated issues and are working towards achieving the Investors in People Health & Wellbeing award. We have also invested in a new appraisal system for our employees, averaging at £8,000 per annum. The new Trakstar system provides tools to assist and track employees’ development throughout the year as well as identifying training needs. A fundamental part of our CSR towards our customers is to ensure that when they are working at height they are doing so in the safest possible way. We are one of the leading providers of industry-accredited working at height training courses and also provide our customers with safety guidance and advice through webinars, seminars, safety bulletins and newsletter articles. We believe we are the first major powered access machine provider to offer webinars on various safety topics, and provide the opportunity for question and answer sessions at the end of each session. 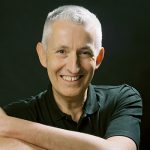 We run our webinars every quarter and offer a recording of the event for those who cannot attend. Some examples of previous webinars include Tiers of Secondary Guarding, MEWP Ground Conditions and When To Use Spreader Pads, MEWP Incident Prevention and MEWP Familiarisation. With so many different types of powered access machine available it is vital that operators receive guidance on the specific machines they will be using. We have therefore developed a set of online machine familiarisation videos. Our online videos cover safety information, features of the specific machine, control functions and emergency lowering procedures. The 45 familiarisation videos are a first in the UK working at height sector. Any MEWP operator, supervisor, project manager or safety manager can view them on a smart device by scanning a QR code on the machine or by viewing them online on our website. We currently have over 15,000 views in just 1 year. 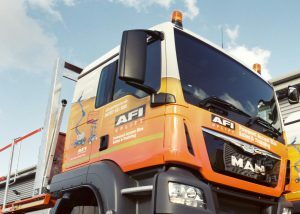 The AFI videos give the detail required for proper familiarisation covering every type of MEWP in regular use in AFI’s fleet. Each video covers a family of machines, such as Genie diesel booms from 40 to 60ft or Skyjack electric scissors from 19 to 46ft. We have made this safety innovation available to all in the industry regardless of whether they hire from AFI. We have taken our commitment to customer safety a major step forward by launching two innovative safety devices. SmartZone ensures that machines cannot be operated by anyone who has not been properly trained and authorised to use them. SanctuaryZone, a mechanical secondary guarding device, protects the operator from being crushed against overhead obstructions. As well as SanctuaryZone we provide our customers with electronic secondary guarding options, providing solutions to address a wide range of situations where operators are working at height. We also purchase new boom lifts fitted with the manufacturer’s electronic secondary guarding system fitted as standard, where this is available. We have further increased our commitment to customer service by joining the Institute of Customer Service (ICS). In line with this development, we are carrying out extensive and ongoing additional customer care training throughout our workforce. In recognition of the processes put in place to improve our customer service, we were shortlisted for the UK Customer Satisfaction Awards 2016, and have been shortlisted in 2017 as well, we have also gained the Institute’s coveted ServiceMark accreditation. We have achieved ISO 27001: 2013 certification, the internationally recognised standard in global information security management. This independent certification highlights that we have robust procedures and security in place to protect our systems and data. It means that our customers can rely on the integrity of our information security practices and that we are fully prepared to counter any future security threats. At AFI we care about the people involved in making our products and assisting our people in delivering a first class service to our customers. In this respect we have an Ethical Sourcing Policy and only work with suppliers who meet these guidelines. AFI continuously monitor our suppliers to ensure that they comply with our conditions. We recognise our responsibility to support local community initiatives and activities and review opportunities to contribute both directly as a business and indirectly through supporting our employees. We enable our staff to support charitable organisations through voluntary fundraising activities, and give them the time and opportunity to participate in charitable events. 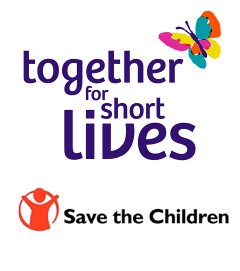 AFI presented a cheque for £5,000 to Together for Short Lives – a leading UK charity for children with life threatening and life-limiting conditions. AFI staff got into the festive spirit by wearing their Christmas jumpers to work, raising money for Save the Children. AFI employees raised over £3,100 for the British Heart Foundation by supporting the organisation’s ‘Beat It Day’ initiative. Throughout 2016 Wilson Access Hire made a charitable donation of £10 for every hire of their Palfinger P570 57m Truck Mount. In 2017 Brian Parker, from our New Business Development team, raised over £5,000 for the children’s charity Action Medical Research by completing a 280 mile cycle ride from London to Paris.